I have not posted anything here (well except the Literature Today post) since back in September. What has been happening? I went to Bookfest in downtown Bangor, left my book in some stores in downtown Bangor. Also, I put a copy of my book in the little free library that is located in the pocket park next to Central Street Farmhouse in downtown Bangor. 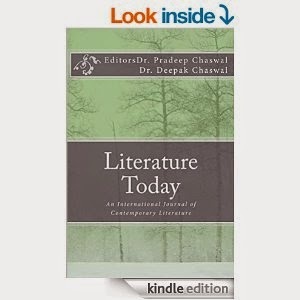 Download a FREE copy of Literature Today :) This is book is a collection of different poets and their poems, including a new one from me called "Flood"
The first edition of LITERATURE TODAY presents a collection of wide range of poems and stories dealing with the theme of "Man/Woman & Nature". Each poem and story is an epic in itself. Be a part of this rare blend of creativity and conscience. Read and enjoy the soul searching representative poems and stories of sixty seven authors. my poetry book ..details... is on Amazon! I can hear you now: "But, Valeri I don't have a Kindle and can't read your book, I want to though"
No Kindle? No worries! just use the FREE Kindle Reading apps and you can read my book on your computer, iPad or phone....just click the link! ...details... will be available sometime in September, stay tuned! Check out all of Pyrokinection! Great poems there :) Including "Circus Love"